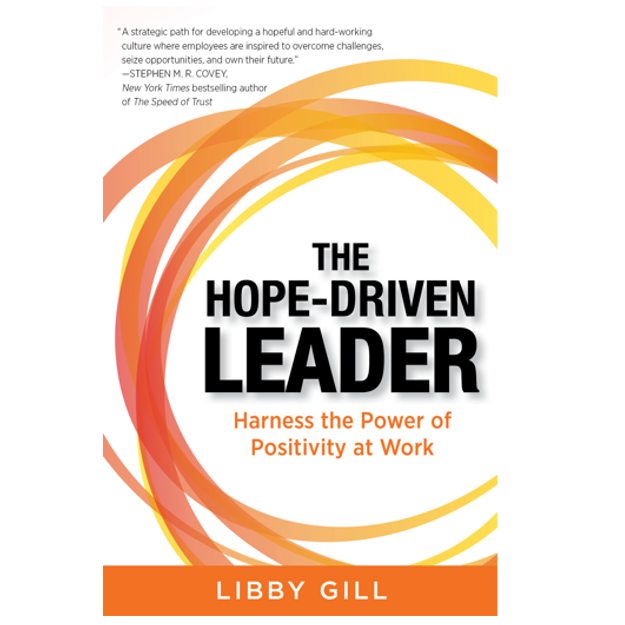 "Libby Gill offers us a roadmap to be positive and hopeful for the future. This is a must-read for those of us ready to embrace true hope! In this ultimate self-help guide, Libby teaches you to tune out the voices of fear and shows you how to bypass the brain’s outmoded risk-avoidance mechanisms. This proven step-by-step process will guide you to create a compelling brand based on emotional connection, authentic value, and flawless delivery. Foreword by Dr. Phil. Are you living a life based on who you really are or one built on outdated messages from your past? With courage and candor, Libby poignantly discloses how she overcame obstacles and difficulties to live a successful life. "Traveling Hopefully is sometimes painful but inspiring, as Gill's goal is to transform her readers from dreamers who are dissatisfied with life to doers who have renewed purpose and ambition." Libby has a featured chapter in this insightful book that includes what you need to know right now about leadership, engagement, technology, and growing your own world-class HR career. Editor Martha Finney has included contributing chapters from thought leaders at organizations including the US Marines, Doctors Without Border, Patagonia, The Learning Cafe, GlaxoSmithKline, AARP and more. Career Success Foundation Course: Perfect for individuals, teams or after-the-keynote to keep the learning alive! Want to advance to the next level of your career but lack the time, focus, and accountability to get there on your own? The Career Success Foundation course is designed for elite performers who are ready to play a bigger game in work and life. Libby takes you back to basics - even if you’re a seasoned professional - to help you determine exactly where you want to go in and then providing precisely the right strategies and support to get you there. The content is offered in a unique "check the box" format that encourages progress, accountability, and most important, completion. Libby offers the same strategies, tips and tools that she uses in her one-on-one coaching programs with Fortune 500 executives. Let Libby customize the course experience for you or your group.